There is something unique and poignant about Aussie YA Contemps. I've had the pleasure of reading a handful of them by a few different authors, and each one has gotten a five-star review from me. 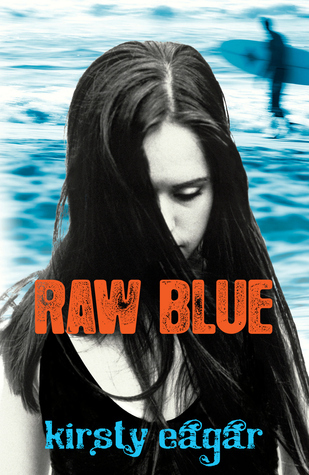 Raw Blue by Kirsty Eagar is no exception. Once again I have found myself completely blown away by the beauty of this author's style of writing. I have no idea what's in the water over there, but they are producing some seriously talented writers! Carly is a surfer girl. She lives and breaths to be on the swells, catching the perfect wave in to shore. She's also a girl who escapes to the waves in avoidance of one horrific night that won't leave her memory. Since that traumatizing event, she's shut off her family and friends. She's quit school and moved to another town. Surfing is what keeps her sane now. Riding the waves alone is what her purpose has now become. All of that changes when she meets a fellow surfer boy by the name of Ryan. He's mysterious, yet calm. He's the one to make contact first with her, and little by little she starts to shed her outer shell and let Ryan in. Life has become easier by avoiding her past, and pretending it never happened, until Ryan discovers the secret she's kept buried for so long. Carly's fears are churning inside her on the brink of over flowing. She's not quite ready to deal with the reality of what had happened, and like before, her instincts kick in to retreat back inside her shell. This is a story about over-coming obstacles we battle within ourselves. Every one has personal demons, whether they're caused by someone else, or inflicted by our own doings -- they are there. We can choose to bury them, like Carly did, letting them eat at us from the inside out. Or we have a choice to deal with these demons, no matter how unbearably difficult it may be. If we're lucky, we'll find people like Ryan along the way to help us see the beauty that still lies inside us. This novel weighs heavy in my mind, and in my heart. It's the raw, vulnerable words that have stirred something inside me though. Every once in awhile I'll come across a novel that is more than just a story to me, it's a piece of honest artistry that's been molded between the pages. I am honored to post this review as my first 5-star review of 2012. Though this novel is not available in the U.S., you can purchase a PB copy from fishpondworld. Thank you Linds for being such a strong advocate for Raw Blue and sharing this beautiful story with me. Great review I enjoyed this one but I wasn't ready for such an emotional ride when I read it. This review is beautifully written, and also quite intriguing. I've seen this book before around the web, and now, after your endorsement, I think I'll have to get my hands on it soon. Love this review, and the pleasure is all mine, Ginger! I am so glad you loved Raw Blue as much as I do! Thanks for spreading the word! I can't wait to read this one. I think I'm on the borrow tour. A lot of authors try to write raw, vulnerable works but few succeed in actually being that way...but it sounds like this one does. I agree with you 100% in regards to this book! This looks so amazing. It makes me upset that all books aren't available everywhere. 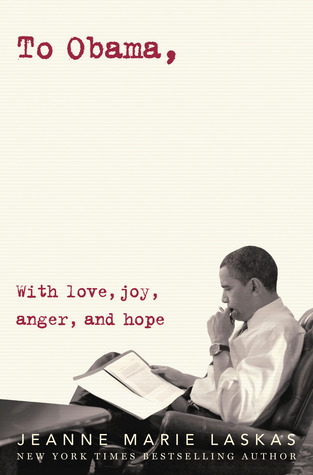 I so want to read this book too, I got an Aussie friend who keeps urging me to do it. I got the book a few months ago and I hope I can squeeze it in my reading schedule. You KNOW how I feel about self discovery and coming of age novels! YES PLEASE. I love the reviews you do of these contemps.. I recently finished Moonglass after seeing you post about it here, and I loved it. It's true that everyone has personal demons. It's hard to let it go, instead of it eating you from the inside. I spent a year of my life doing just that. I pushed everyone away, I almost lost everyone and everything that mattered to me, because I just couldn't deal with the loss. But after a year, that fog cleared for me, and I was able to get a grasp of myself again. So I can really appreciate these sort of novels. I would never have picked some of these up if not for your well written reviews. Thanks for sharing this one, i'll be adding it to my list! would really love to try an Aussie one some day. I'll have to order some from that fishpond site. I really loved the cover it's very hot.